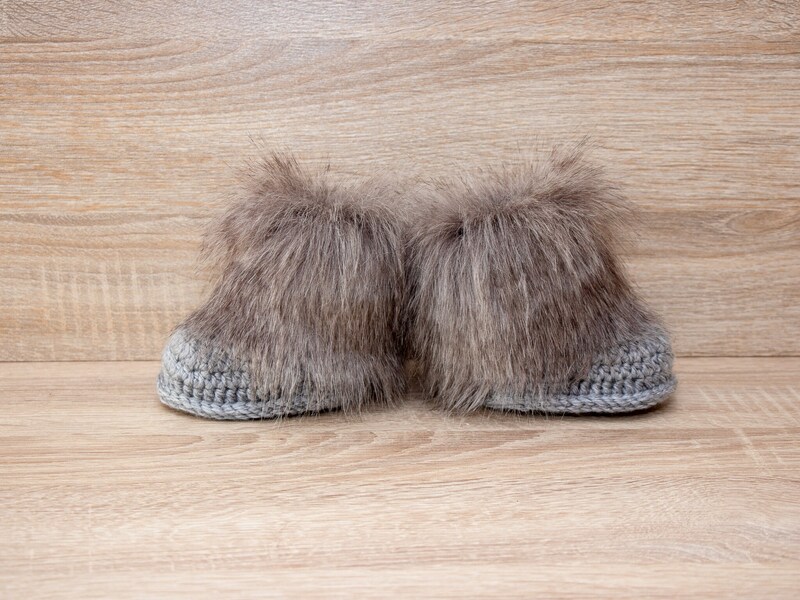 These adorable Faux fur topped booties are great winter accessories for your baby. These little booties are double soled for a more cushioned sturdy booty and nice fit. Comes packaged in a box with transparent wrapping - perfect for gifting. These are beautiful and shipped right on time! cutest little boots ever !